Nandamuri Balakrishna’s landmark 100th movie, Gautamiputra Satakarni, is ruling the roost at the box-offices worldwide. In the US, the film has grossed $373K from nearly 120 screens from its premieres. This is the best ever premiere show performance by a Balayya movie and GPSK has also occupied 8th spot in the list of all-time highest grossing Telugu movies from the US premieres. 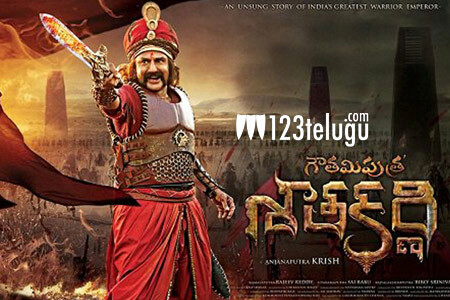 Thanks to the glowing reviews and festive holiday advantage, Gautamiputra Satakarni is expected to post stunning opening day numbers in the two Telugu states. Keep watching 123telugu.com for more authentic updates on GPSK’s collections.